So I was watching Monday Challenge with Ryan Connolly and the crew and he mentions Video Copilot and something called ELEMENTS. So I meander over to Videocopilot and see they’ve launched a new product. After about 30 minutes of me sitting there with my mouth dropped, I decided I need to get out more! If you guys don’t know about Video Copilot, you better get with the program! So what do you need to know about Video Copilot? Well if you want to know anything at all about After Effects, they are the leading authority on it. They have a wide array of tutorials for many different things that you can use a filmmaker or editor to take your projects to the next level. Plus, he’s pretty funny! I’ve learned and used quite a few things myself. 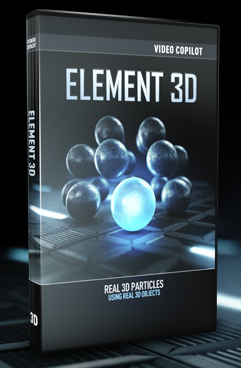 As I said earlier, Andrew Kramer and his team have released this new application for 3D manipulation that will take your projects even higher. I’m not even going to pretend to understand how and what it really is but what it DOES is A-ma-za-zing! Check it out for yourself if you don’t believe me! Oh and on a side note, I was sitting and watching the behind the scenes of Star Trek by JJ Abrams and heard him mention the opening title sequence was done by Andrew Kramer himself. so if you don’t believe me how outstanding he is, then take it from JJ Abrams. He is the real deal. So you guys better get all this knowledge and cool stuff from him before Hollywood takes him from us! First of all, let me start by saying these guys really rock! They have been teaching indie filmmakers, tips and tricks for a while now and they have delivered a wonderful action packed short called “Losses”. Josh really stretched his acting skills be portraying a killer! It was just so cool to see. You would expect the normal Film Riot humor that they have been known for and I’ve have so grown to love, but it has a certain Bourne Identity/Jason Statham(ish) feel! I love the color grading and the lighting! The feel was wonderful. And I know a lot people commented on the shakiness of some of the scenes. Yes maybe in some places it was a little too much but it gave the film movement and almost an urgency. So without further adieu here is “LOSSES” – It is suggested that you watch this FULL SCREEN and choose Original to see it in it’s full 2k glory!